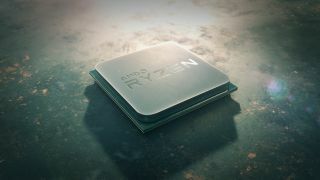 After a long quiet spell, AMD is finally launching its long-rumored, mid-range Ryzen 2nd Generation processors. Meet the new Ryzen 5 2500X and (the arguably more important) Ryzen 3 2300X, which we’ll talk about first. This CPU comes to replace the excellent Ryzen 3 1300X with an identical four-core, four-thread layout. Likewise, AMD Ryzen 5 2500X replaces the Ryzen 5 1500X in the same way with four-cores, eight-threads. Both processors share 3.5GHz base frequency that’s the same as their predecessors, but clock up to a higher 4GHz boost clock. These higher 4GHz boost clock speeds come thanks to Precision Boost 2 and XFR 2 introduced with Ryzen 2nd Generation. Thanks to Ryzen 2nd Generation's smaller 12nm architecture, AMD promises users can expect to see 8% to 10% higher performance in single- and multi-threaded workloads than the previous generation. The processors otherwise share a 65W thermal design power (aka max power draw at stock settings) and support for DDR4-2,933MHz memory. AMD tells us pricing and availability for these processors will be set by original equipment manufacturers (OEMs) and system integrator partners. For the time being, it seems we won’t be able to purchase these processors on their own.